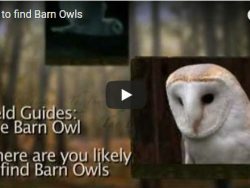 Beautiful Barn Owl portraits, interesting information and useful facts about Barn Owl anatomy, life history and development. Barn Owl photo wallpapers – free* to download! Barn Owl owlet growth and development. Barn Owls at dawn and dusk. GPS & Radio tagging and tracking. Owl ringing and BTO rings. Owl pellet analysis – small mammal bone identification. Vole holes and other signs of Field Voles. Barn Owls in their habitat. Unscreened major roads kill Barn Owls. Preventing owl road deaths by screening major roads. Fallen owlets from poorly designed nestboxes. About the Barn Owl Trust. Step by step instructions for building and erecting indoor, tree & pole nestboxes. Choose the right owl box. How to build a Barn Owl nestbox for a tree. How to build a pole-mounted Barn Owl nestbox. How to erect a pole-mounted nestbox by machine. How to erect a pole-mounted nestbox by hand. Provision for Barn Owls within buildings. Creating a space for owls in the loft of a dwelling. Barn Owl Trust wildlife tower. The LLP is a wildlife haven managed by the Barn Owl Trust. Wild flowers in UK Barn Owl habitat. Grasses in UK Barn Owl habitat. Building an Owl aviary – video. *Copyright: Please note – all photos and videos are copyright.